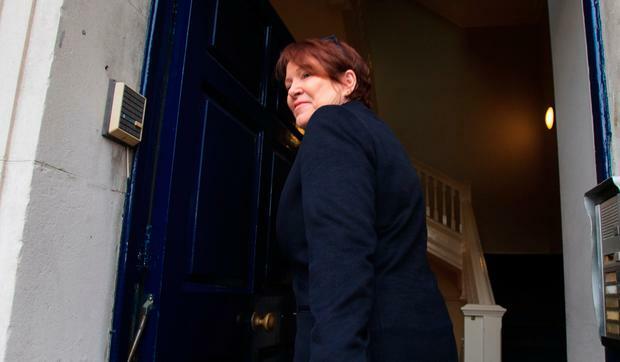 Former Garda Commissioner Nóirín O’Sullivan has denied she made a mistake by only getting her legal team together just days before the O’Higgins Commission began. Lawyers representing Ms O’Sullivan were only consulted on May 11, 2015 - just three days before the commission began. Ms O’Sullivan told the Disclosures Tribunal the lateness in doing so was “a capacity issue rather than a mistake”. She said the force was “punchdrunk from being pilloried in the media and other places” and was dealing with various other inquiries and commissions at the time. There was also an issue with under-staffing in senior ranks, which was making it difficult to respond. “We were dealing with a number of different matters all at the one time,” she said. Trust and confidence in An Garda Síochána was at an all time low when she became acting Garda Commissioner in 2014, she said. Ms O’Sullivan said she had to handle “very serious issues” which had dogged the force for some time. These included the allegations made by whistleblower Sergeant Maurice McCabe of malpractice and corruption in the Cavan/Monaghan division, which were to be examined by the O’Higgins Commission. She said a narrative had emerged “suggesting An Garda Síochána was corrupt, that people could not have confidence and that there were shortcomings in investigations”. The previous month she was told by Assistant Commissioner Kieran Kenny that he had discussed the matter with Ken Ruane, the Garda head of legal affairs, and they had agreed lawyers should be instructed “as there were reputational and corporate issues for the organisation” arising from the commission. Ms O’Sullivan said that it would have been down to Mr Ruane and the Garda liaison officer to the commission, Chief Superintendent Fergus Healy, to put a legal team in place. She told tribunal counsel Kathleen Leader that some time that April she would have given “general instructions” to Chief Supt Healy that they were to assist the commission in getting to all of the relevant facts. Earlier Ms O’Sullivan told the tribunal how she gave her personal backing to Sgt McCabe at face to face meetings in August 2014 and February 2015. The later meeting was just three months before Ms O’Sullivan instructed her legal team team to challenge Sgt McCabe’s credibility and motivation at the commission. Ms O’Sullivan said Sgt McCabe was experiencing workplace issues at Mullingar Garda Station in early 2015 and she had been anxious for these issues to be addressed in an open and transparent manner. She said he was committed to implementing necessary reforms in the force and that it was very important that An Garda Síochána operate with democratic legitimacy and the consent of the public. As part of this she offered her support to Sgt McCabe. She appointed Chief Superintendent Barry O’Brien, an officer nominated by Sgt McCabe, as a person he could bring concerns to and also arranged for him to meet Garda head of human resources John Barrett. In its current module the tribunal is investigating whether Ms O’Sullivan relied on unjustified grounds to discredit Sgt McCabe at the commission. Last week tribunal chairman Mr Justice Peter Charleton said she was no longer suspected of using allegations of sexual abuse to discredit Sgt McCabe. The tribunal has previously heard Ms O’Sullivan instructed lawyers representing her at the tribunal to challenge the motivation and credibility of Sgt McCabe. She did this after her barristers advised her to do so. But that advice came after a consultation meeting with barristers, during which, in the words of Mr Justice Charleton, Sgt McCabe was portrayed as a bitter man who was prone to exaggeration. The consultation meeting on May 11, 2015 was attended by barristers Colm Smyth SC, Garret Byrne BL and Michael MacNamee, a lawyer from the Chief State Solicitor’s Office, Annmarie Ryan, Garda head of legal affairs Ken Ruane, and a number of gardaí. Ms O’Sullivan was not present. The barristers were told about a previously dismissed allegation of sexual assault against Sgt McCabe and the fact he wanted the DPP’s directions in that case fully released to him and the family of the complainant. The tribunal has heard this request was refused as it was contrary to procedure. The barristers were also told of an incident in a hotel with Assistant Commissioner Derek Byrne, after which Sgt McCabe alleged he was assaulted and falsely imprisoned. This was investigated and did not lead to any charges. One of the gardaí present at the consultation, Chief Supt Healy, said most of the information probably came from him. Tribunal counsel Kathleen Leader BL observed that there didn’t appear to be any record of good things being said about Sgt McCabe at the consultation. The tribunal heard the legal strategy was at odds with the commissioner’s treatment of Sgt McCabe in the previous months, when she had met with him and offered him her support. The commissioner had planned at the time to recruit industrial relations troubleshooter Kieran Mulvey to consider and make recommendations on a range of issues raised by Sgt McCabe. 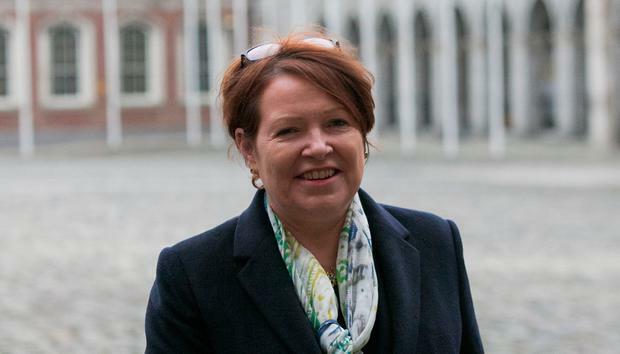 After a row erupted over the legal strategy on the second day of the O’Higgins Commission, May 15, lawyers for Ms O’Sullivan were asked to reconfirm their instructions. Ms O’Sullivan reconfirmed her instructions in a phone conversation with Chief Supt Healy, but not before placing a call to the Department of Justice. Phone records show a 14-minute call was placed by Ms O’Sullivan to then acting secretary general Noel Waters. Neither Mr Waters nor Ms O’Sullivan can recall the conversation that took place. The tribunal has also heard how in the aftermath of the O’Higgins Commission report in May 2016, and a number of damaging media reports, Ms O’Sullivan drafted a statement she suggested then Tánaiste Frances Fitzgerald could make in the Dáil. The draft statement suggested the minister tell the Dáil that at no point did the commissioner instruct her legal team to "accuse Sgt McCabe of malice". This had been asserted in a newspaper headline the week before. The draft statement also suggested the Tánaiste state she had full confidence in the commissioner. However, Ms Fitzgerald did not make the suggested statement and instead sought a meeting with the commissioner the following day.